Whenever I teach Japanese Buddhism, whether in the Americas, Europe, or East Asia, I frequently run into the same assumption among students that Buddhists, for the most part, practice meditation in order to attain nirvana or enlightenment. While this notion is certainly grounded in actual Buddhist beliefs and practices, it is too general and simplistic to accurately represent the full scope of the Buddhist tradition. Not only can one find a wide variety of practices within Buddhism, not all Buddhists strive to attain the same goal. In this article, I would like to introduce some of the meditative practices that can be found in Japan and the goals they are believed to guide the practitioner toward. From the perspective of quite a few teachers, Zen meditation seems to be closer to the style of meditation the historical Buddha is said to have taught than most other forms of meditation practiced in Japan. The early Buddhist teachings identify as “meditation” (Skt. dhyana) the practices of “cessation” (Skt. samatha) and “insight” (Skt. vipasyana), which are designed to lead to nirvana, and to bring an end to karma and rebirth. 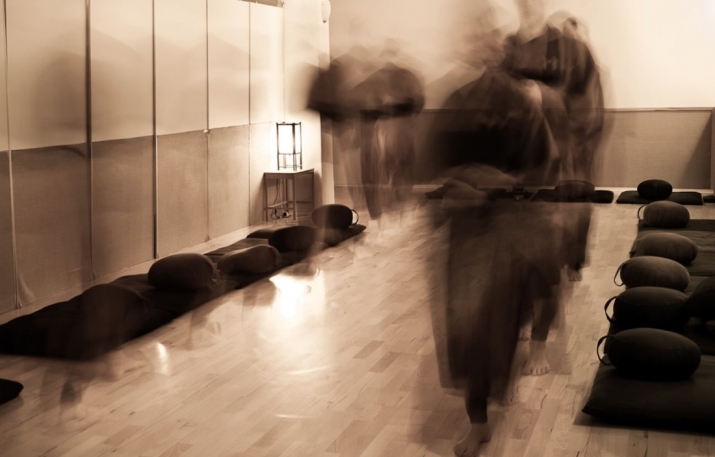 However, Dogen (1200�C53), the founder of Soto Zen, identifies his form of zazen as “sitting only” (Jap.shikantaza) and “casting off body and mind” (Jap. shinjin datsuraku). These terms cannot be traced to the Pali canon, but rather disclose influences from later times and different geographical regions. More specifically, Dogen describes meditation as a method of “practice and verification” (Jap. shusho) of inherent buddhahood. The difference between an “ordinary person” (Jap. bonpu) and a “buddha” (Jap.hotoke) is that the former is inflicted with “delusion” (Jap. mayoi) and assumes that “enlightenment” (Jap.satori) constitutes a future reality, while the latter is “greatly enlightened about delusion.” To be a buddha is nothing but “to verify a buddha” (DZZ 1: 7) that is, to engage in buddha-activities and to have buddha-views. To Dogen, meditation constitutes the prototype of all buddha-activities. Practices at Enryaku-ji, the temple Saicho built on Mt. Hiei, which serves as the headquarters of Tendai Buddhism today, however, bear little resemblance to the meditative techniques designed by the historical Buddha. Since Saicho conceived of his Tendai as “one-vehicle” (Jap. ichijo) Buddhism, practice on Mt. Hiei is rather syncretistic and includes various forms of meditation, such as sutra readings, the “fire ceremony” (Jap. goma), walking meditation, and so on. Similarly, while Shakyamuni Buddha lies at the center of Tendai ideology and beliefs, Tendai practices include devotion to a variety of buddhas, bodhisattvas, “kings of clarity” (Jap. 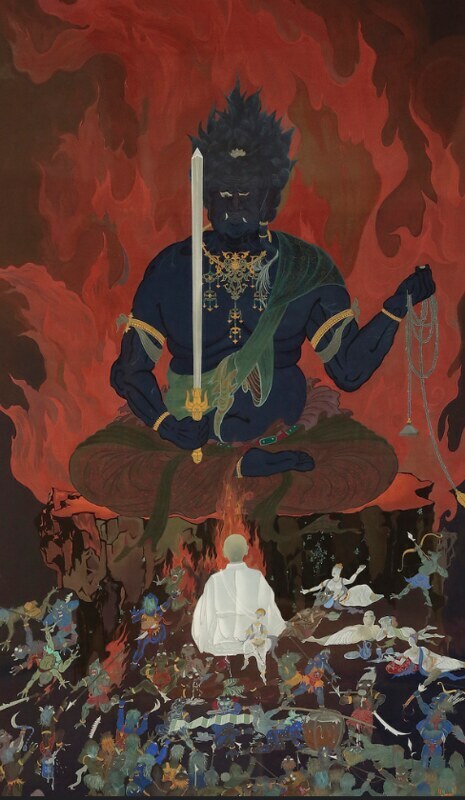 myo’o), and “heavenly beings” (Jap. tenjin). The core of self-cultivation (Jap. shugyo) on Mt. 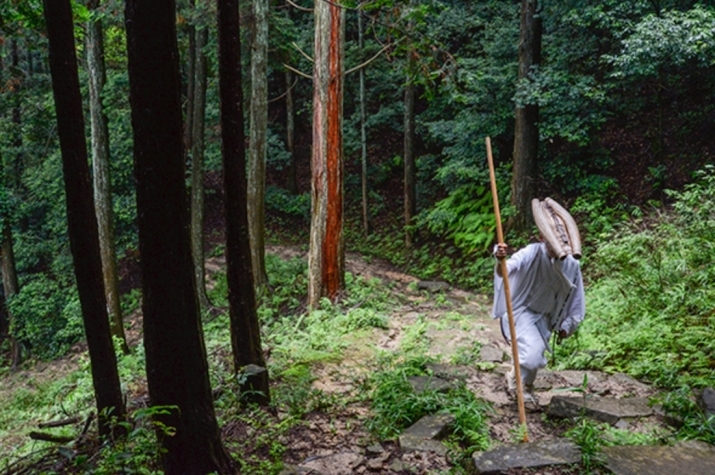 Hiei consists of a 60-day retreat, a three-year retreat, and “running meditation” (Jap. kaihogyo) of varying distances. The most demanding of these self-cultivation exercises is without doubt “1,000-day running meditation” (Jap. senjitsu kaihogyo), the practitioners (Jap. gyoja) of which have been dubbed “marathon monks.” (Stevens 2013) This practice involves 1,000 days of running between 40 and 80 kilometers per day over seven years. After 700 days of running meditation, the practitioner abstains from eating, drinking, and sleeping for nine days during a practice called “entering the hall” (Jap. doiri). The purpose of this rather severe practice is to overcome “defilements” (Skt. klesa) and attain buddhahood. The teachings of the True School of Pure Land Buddhism (Jap. 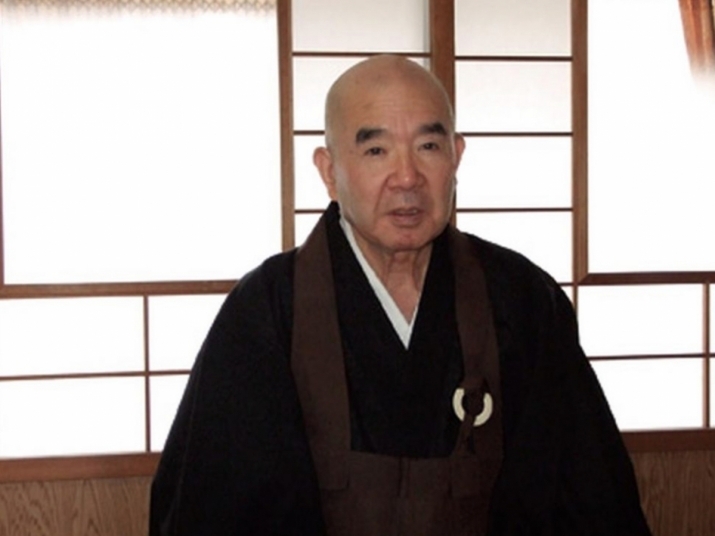 Jodo shinshu), meanwhile, encourage practitioners to chant the “name of Amida (Skt. Amitabha, Amitayus) Buddha” (Jap. nembutsu), “namu Amida butsu,” to acknowledge that it is only due to the “other power” (Jap. tariki) of Amida expressed in his 48 vows that “rebirth in the Pure Land” (Jap. ojo) is possible. ** Thus, it is believed that one divine being enables liberation from suffering and entry into a transcendent realm. We can see that the various schools of Buddhism in Japan encourage different kinds of practices and envision a variety of goals. “Nirvana” is the end of suffering and rebirth, the “Pure Land” (Jap. jodo) comprises a realm of bliss, enlightenment requires a cognitive transformation, buddhahood implies a process of purification or even deification, and “realization” expresses our connection with the cosmos. Yet, however their goals are formulated, each of these meditation techniques outlines a practice that transforms our lives, reduces if not alleviates suffering, and engenders compassion and wisdom. Is that not the true purpose of religious practice? DZZ. 1969�C70. Dogen zenji zenshu [Complete Works of Zen Master Dogen]. Two volumes, ed. Doshu Okubo. Tokyo: Chikuma Shobo. Groner, Paul. 2000. Saicho: The Establishment of the Japanese Tendai School. Honolulu: University of Hawaii Press. First published 1984. Stevens, John. 2013. The Marathon Monks of Mt. Hiei. Brattleboro: Echo Point Books. First published 1988.